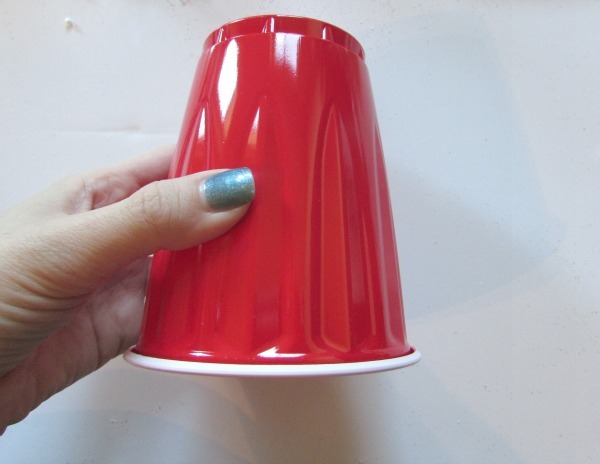 For the base take a plastic cup(any color) cut off the bottom two inches of the cup. 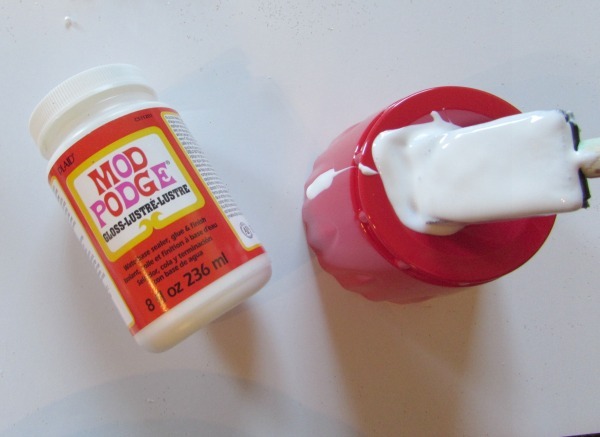 Use a paint brush to brush on glue or mod podge. 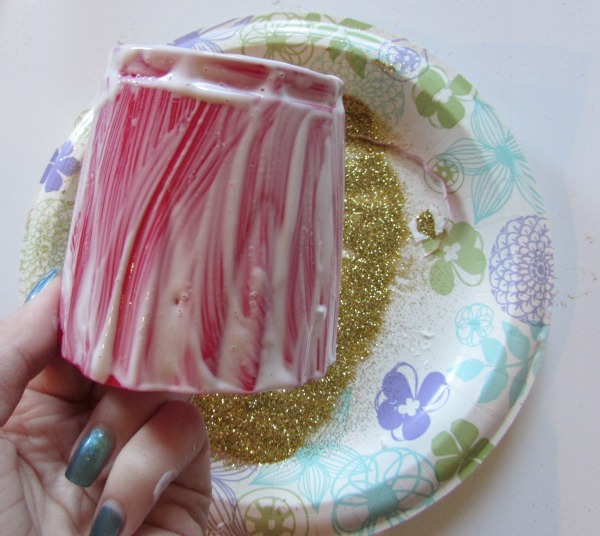 sprinkle glitter on the sides all around. 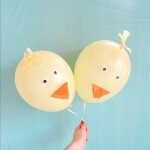 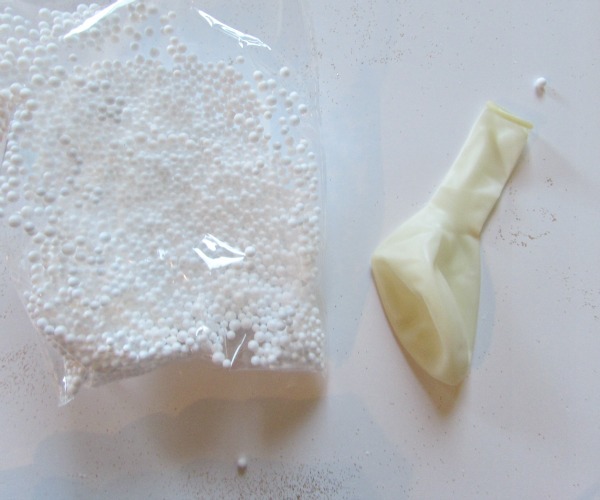 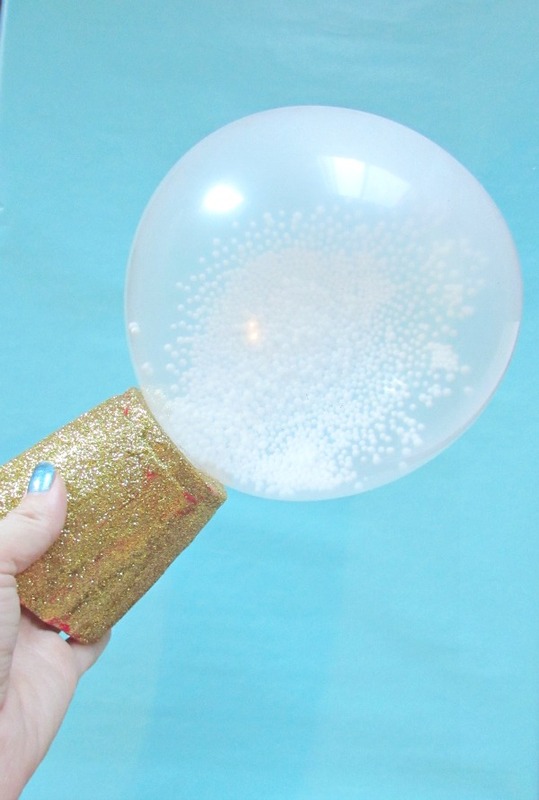 Then press the balloon onto the glue on the top. 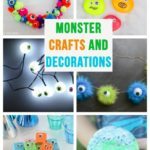 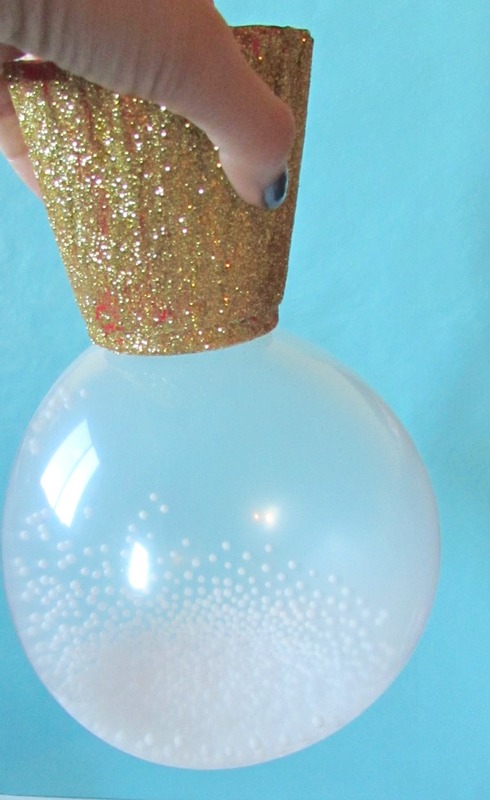 If you don’t want the mess you can use sparkly wire ribbon or glitter tape. 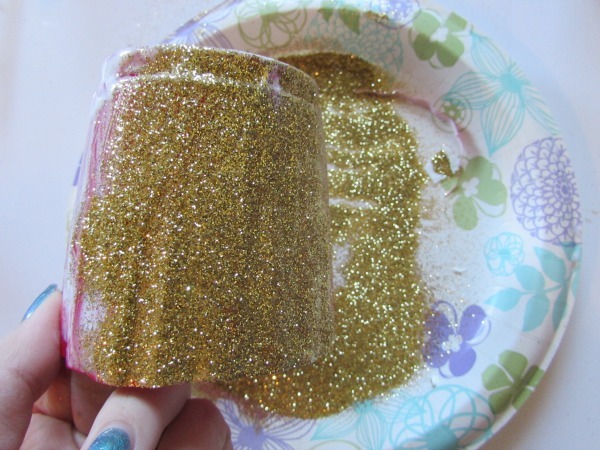 If you have a clear cup you can put the glue and glitter on the inside. 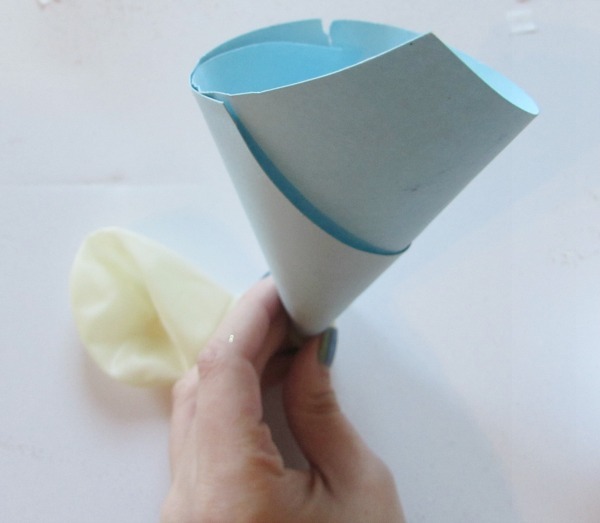 Make a funnel out of paper put it in the top of the balloon. 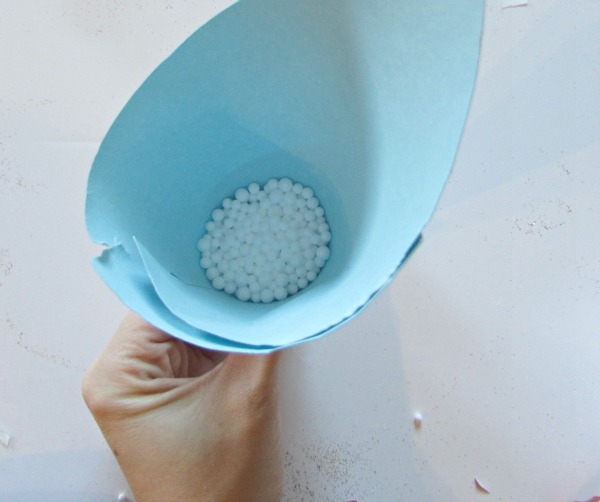 Pour the fake snow into the funnel and fill up with balloon. 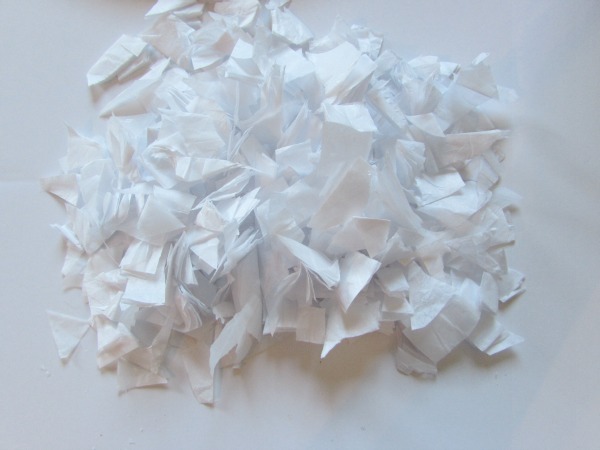 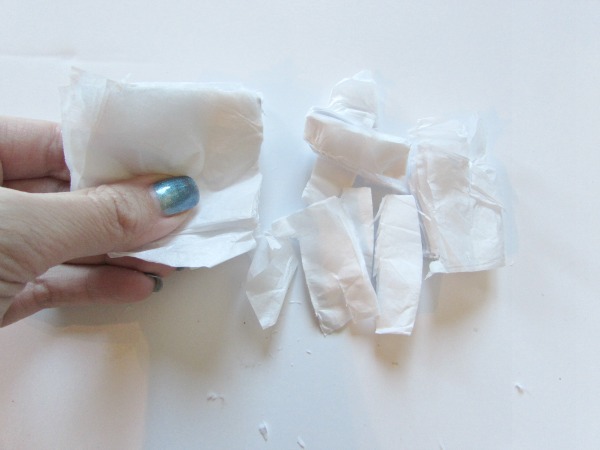 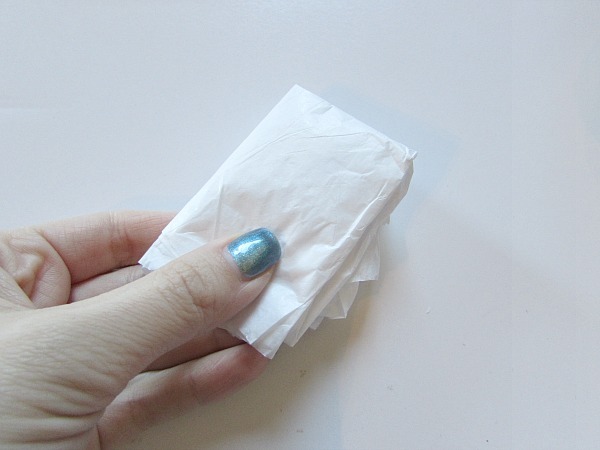 For tissue paper snow cut up the tissue paper into small pieces. 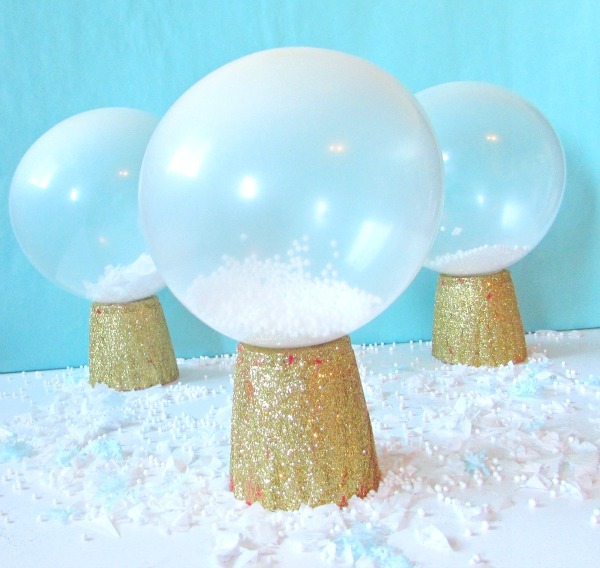 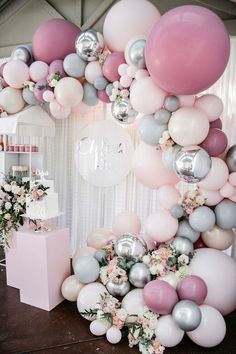 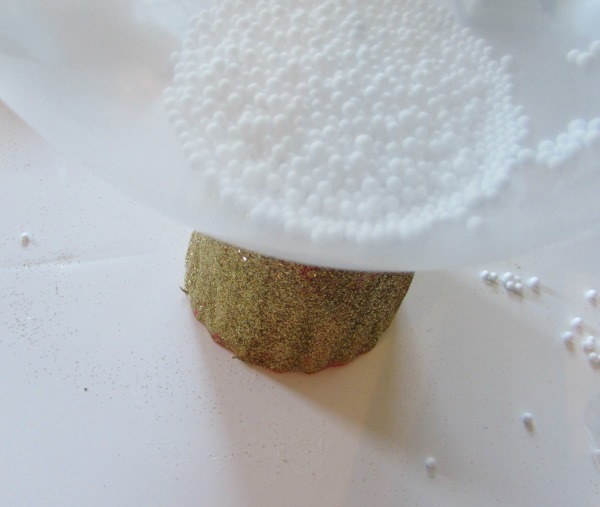 You can use the fake snow balls or the tissue paper snow whichever you prefer or both. 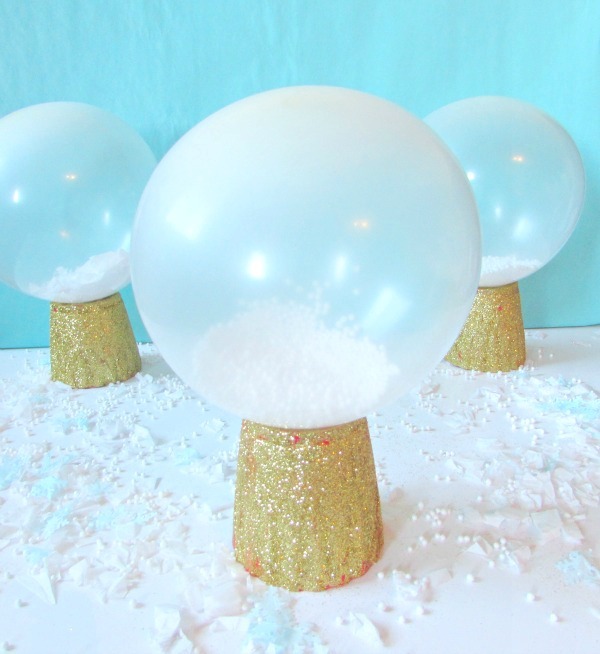 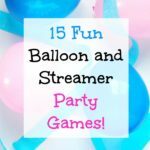 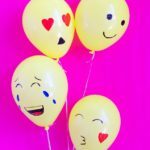 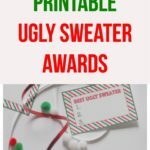 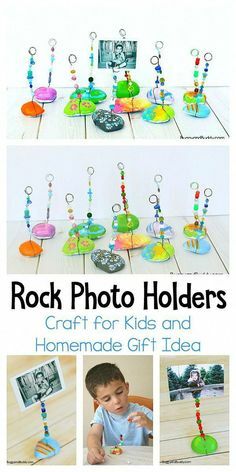 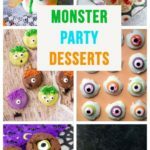 They are so fun for a snowy winter celebration! 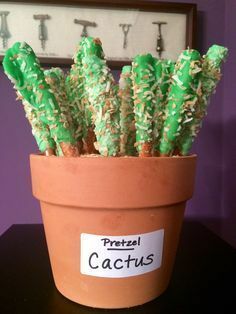 You could also tape on cut out snowmen or Christmas trees to the side. 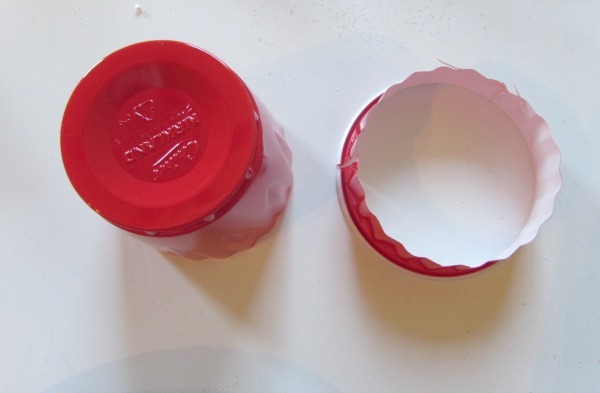 You can put some small bells inside as well. 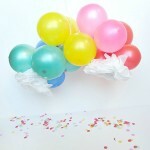 If you want them to floating try using glitter wire ribbon for the base. 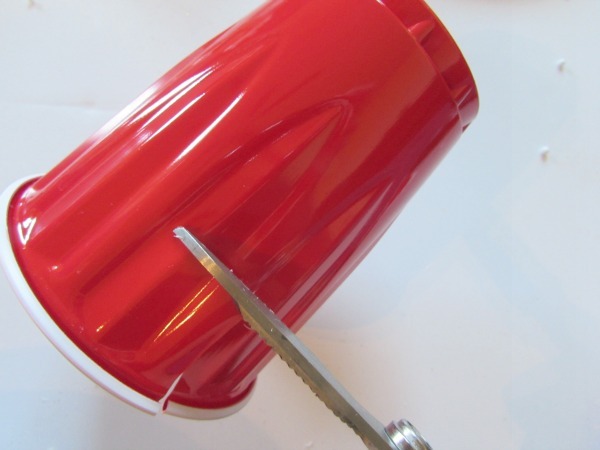 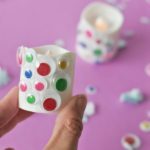 You can wrap it around the base of a cup for the shape and glue it together. 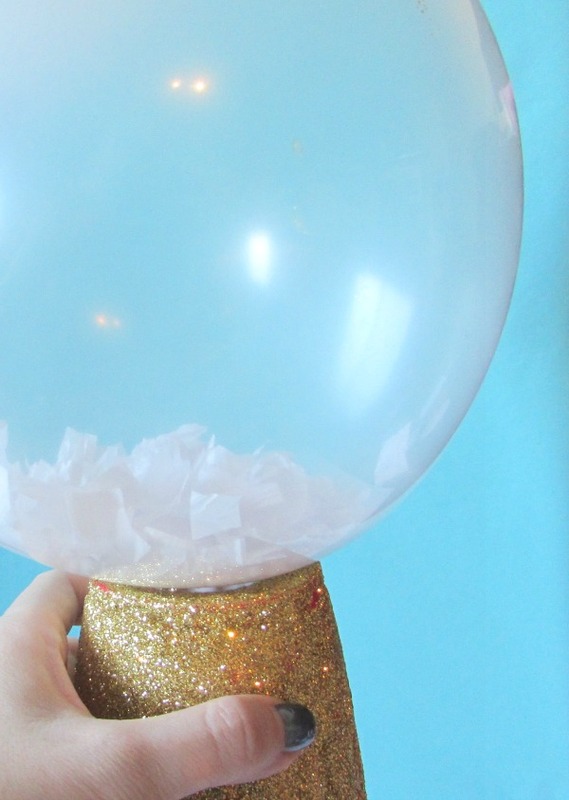 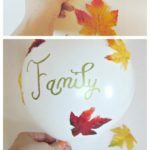 Then tape it onto the bottom of the balloon. 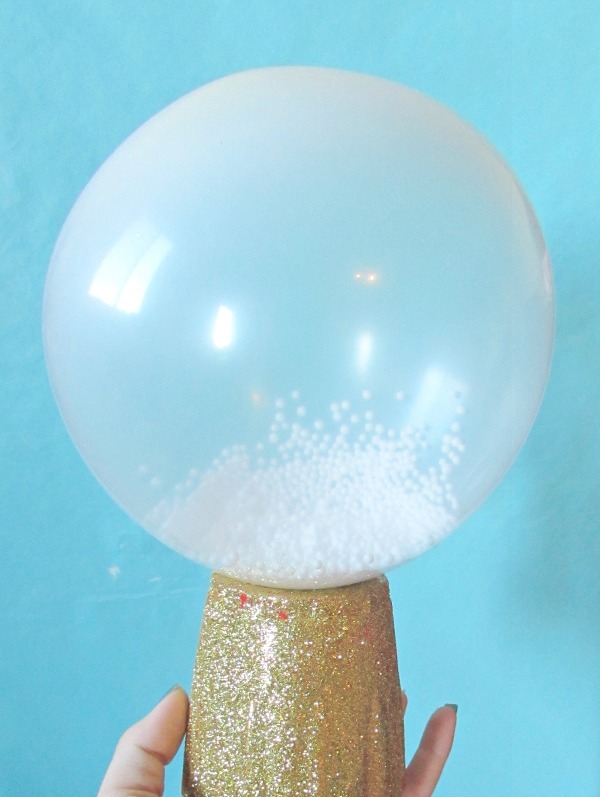 Thanks, ya it is hard to find snow globes and any kind of snow in Phoenix! 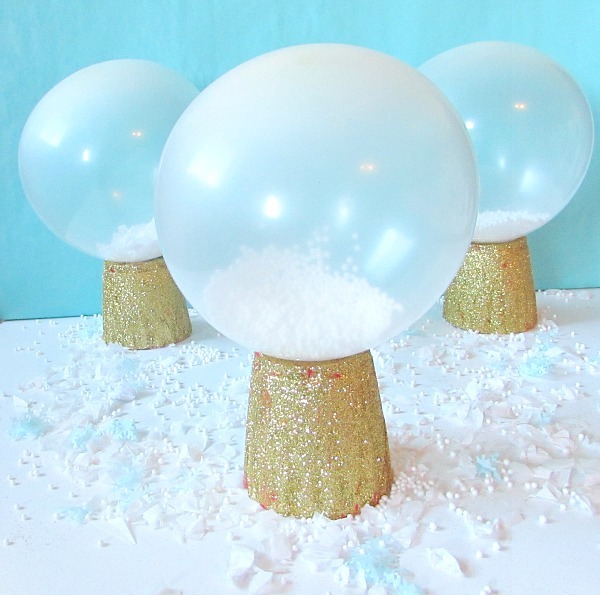 Thanks so much, yes they are perfect for wintry decorations :)!